This website gives a glimpse into my motivation for writing ‘Aboard the Democracy Train’ – on why millions of people in Pakistan have been thwarted from bringing about meaningful change inside the country. As the only woman reporter in Pakistan’s leading newspaper, Dawn (1984 – 2000), I was curious about the connection between day to day events and stored them in memory to tell the world some day about the larger picture. My access to leading politicians and places would go on to feed a narrative on Pakistan that has normally been hidden from public view. In using my personae, I have tried to break down the complex history and politics of my home country – which despite its small size is a big player on the global scene. Having relocated to the US shortly before 9/11, my position as reporter, academic and researcher would once again provide me a unique view of how the region changed in the US orbit of influence. `Aboard,’ is a current affairs book, where I have used my knowledge as a journalist on both sides of the Atlantic to trace the path taken by the nation to where it has arrived. Through this website, I hope to get readers to read the book and pen down their thoughts about the humongous challenges that face Pakistan today. 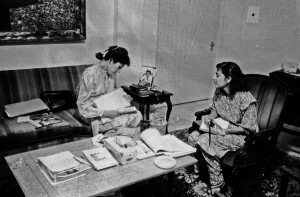 Benazir Bhutto shown with the author, Nafisa Hoodbhoy in June 1986 at the Bhutto ancestral home – 70 Clifton in Karachi. By then, the military led by Gen. Zia ul Haq had overthrown Benazir’s father, prime minister Zulfikar Ali Bhutto and had him executed. As Chief Martial Law Administrator and Pakistan’s president, Gen. Zia had enacted laws that prima facie aimed to change Pakistan into an Islamic state. 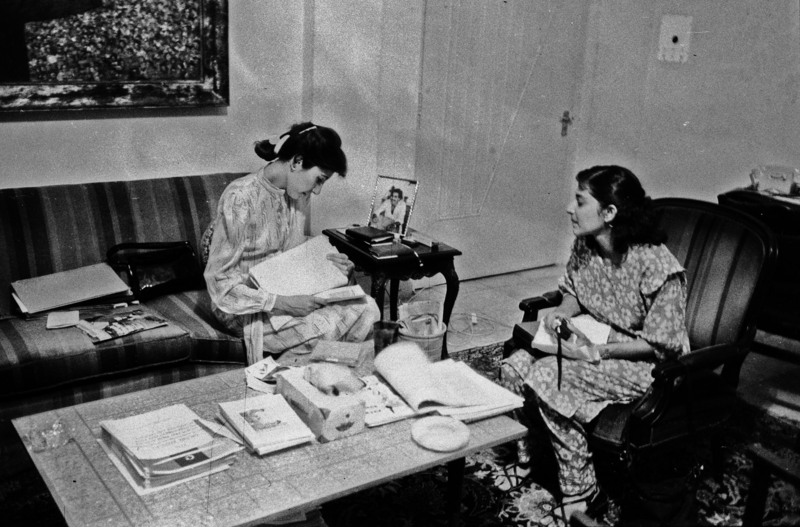 In this photograph, Benazir looks through the author’s writings appearing in Dawn newspaper since 1984. Then working as the only woman reporter in Dawn, the author met Benazir to convince her to outline her position on the anti-women legislation passed under Gen. Zia. Several meetings subsequently led Benazir to pledge that she would repeal the discriminatory laws if she was elected prime minister. Congratulations. What a wonderful website. I look forward to receiving your announcements about new posts. I will email all friends to visit the website. Congratulations on publication of the book. All religions try to take over the establishment and if they fail, they collaborate with it, be it feudal or capitalist. Daily Kawish, Hyderabad, Sindh, Pakistan. Thanks to put me in mailing list. I visited website, we really need such documentation about our journey to democracy. My congratulations for what looks like a wonderful new production. I will be sure to let the people in Amherst and the Pioneer Valley know about the book and the website. Many thanks for sending me this link. Please keep me apprised. I shall look forward to receive material from the website. Thanks for sending me this. The book looks great! I just ordered it on Amazon. CONGRATULATIONS!!! Thanks for updating and I hope you do continue. Thanks a lot for information about the release of Nafisa’s book. I shall buy it,and ask a number of French academic libraries to buy it also. Thank you so much for sending circulars and such a nice material on this site, I am with you on the democracy train. Good to read all this about you – impressed! Congratulations on your book. Wish you were here in Pakistan!. Great work. very impressive contribution for the promotion of progressive literature for the advocacy of democracy and liberal values. Keep it up Nafisa. I am so glad to see very qualitative selection of range of diverse issues from politics to climate change. Great to come across this website – so much valuable archival material that the world needs to know about. Congratulations on the book. I look forward to reading it. 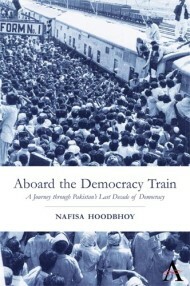 Good reading for everyone, especially for Youth that, they can understand how Democracy is evolving in Pakistan.